Our campus community is a plurality of races, ethnicities, customs, and faiths located within one of the most dynamic and multicultural cities in the world. Students head to class near the Merrick building, named after George E. Merrick, who founded Coral Gables and gave 160 acres and nearly $5 million in 1925 to start the University in earnest. 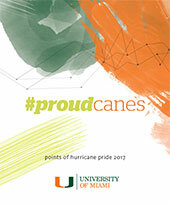 A vibrant and diverse academic community, the University of Miami has rapidly progressed to become one of America's top research universities. 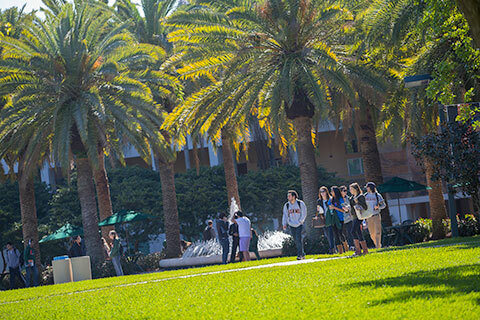 A private research university with more than 17,000 students from around the world, the University of Miami is a vibrant and diverse academic community focused on teaching and learning, the discovery of new knowledge, and service to the South Florida region and beyond. The University comprises 11 schools and colleges serving undergraduate and graduate students in more than 180 majors and programs. 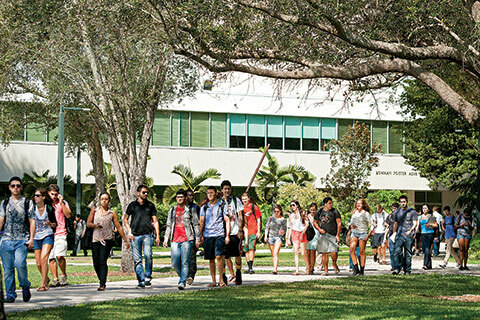 Established in 1925 during the region's famous real estate boom, UM is a major research university engaged in $324 million in research and sponsored program expenditures annually. While the majority of this work is housed at the Miller School of Medicine, investigators conduct hundreds of studies in other areas, including marine science, engineering, education, and psychology.